Pomerrelle Ski Resort, 961 Howell Canyon Rd. Albion, ID. 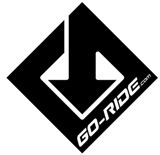 Go-Ride Gravity Series. 2 days, 2 downhill races. Currently working on adding a Super D race with an enduro format, but awaiting approval from the U.S. Forest Service.